Cal Poly Dance Marathon raises $50K #ForTheKids! 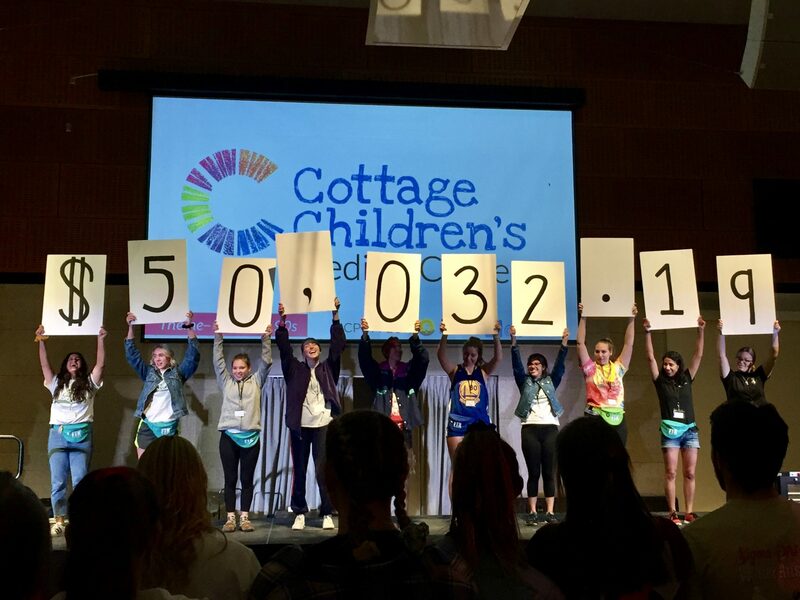 Congratulations to Cal Poly Dance Marathon for doing MORE (this year’s theme) for the kids at Cottage Children’s Medical Center. More patient stories, more music and fun, and more money raised during the big event held on campus on February 22-23. The 12-hour event took place overnight from 7 pm-7 am, the finale to a year of dedication to ensuring that children being cared for at Cottage Children’s Medical Center are able to receive the care they need, close to home, regardless of ability to pay. New to the line-up of events on the schedule included a dinner for Miracle Families and a talent show. Additional highlights of the evening were dancing, performances, magic show, Zumba, color team challenges, the morale dance and more … like the $50,032 reveal! Thank you, especially, to CPDM Executive Director Kayla Bakhshi for leading the team to greatness during her senior year, and congratulations to Hannah Randolph who will be taking up the reins. To learn more about Cal Poly Dance Marathon or to become involved, check out the recap video below and please visit: https://www.facebook.com/calpolydm/.